While criss-crossing the country on the biggest North American outdoor amphitheater rock tour of 2018, FIVE FINGER DEATH PUNCH’s latest single “Sham Pain” has officially hit #1 at Rock Radio this week. This marks the 6th #1 radio hit for the band. After a three-year wait, the multi-platinum group exploded onto the album charts this summer with their seventh studio album AND JUSTICE FOR NONE(via Prospect Park), which is now the #4 best-selling hard music album of 2018. At 14 weeks, AND JUSTICE FOR NONE has surpassed all 2018 hard music albums that preceded it in terms of commercial volume–on-demand and programmed streams, digital song sales and album sales. In the U.S. alone, FIVE FINGER DEATH PUNCH have sold over 4.3 million albums, over 9.7 million digital songs and generated just under 2 billion streams. Click the above photo to play the video. 2018 marked the beginning of a new chapter in the history of the group who overcame a well-documented legal battle with their label alongside a near break-up only to defy the odds and to come back together stronger than ever on AND JUSTICE FOR NONE. On AND JUSTICE FOR NONE, the band–IVAN MOODY (vocals), ZOLTAN BATHORY (guitar), JEREMY SPENCER (drums), JASON HOOK (guitar) and CHRIS KAEL (bass)–re-teamed with longtime producer Kevin Churko (Ozzy Osbourne, Disturbed) and once again stepped up their game maintaining their signature intensity, all while pushing themselves into new territories. FIVE FINGER DEATH PUNCH’s AND JUSTICE FOR NONE (released via Prospect Park), has generated 170 million U.S. on-demand streams and over 300,000 U.S. digital song sales. Fueled new single and video for “Sham Pain,” currently a #1 hit at Active Rock and the Top 5 rock song “Gone Away,” AND JUSTICE FOR NONE marked the group’s fifth consecutive Top 5 album release. The album also had four #1 placements on other charts including: Top Digital Albums, Top Rock Albums, Top Hard Music Albums and AND JUSTICE FOR NONE is the #1 streaming Hard Rock/Heavy Metal Album of 2018. Purchase AND JUSTICE FOR NONE or stream the album here:https://fivefingerdeathpunch.com. Fans purchasing a ticket to the tour are also supporting two charities that are close to the band’s hearts as they are donating a portion of every ticket sold to two charity organizations. 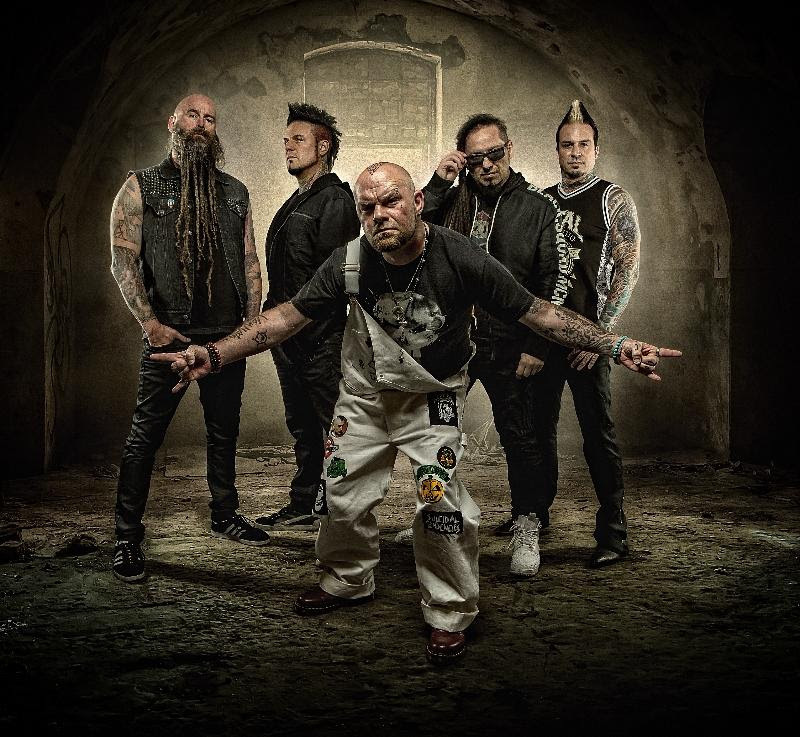 Five Finger Death Punch has chosen to donate $0.50 from each ticket sold to C.O.P.S – Concerns Of Police Survivors, an organization whose mission is rebuilding shattered lives of survivors and co-workers affected by line of duty deaths, through partnerships with law enforcement and the community. While Breaking Benjamin has chosen to donate $0.50 from each ticket to Prevent Child Abuse America which helps counteract the abuse and neglect of our nation’s children by promoting services that improve child well-being and developing programs that help to prevent all types of abuse and neglect. Confidently leading heavy music in the 21st century, Five Finger Death Punch continue to make the impossible a reality at every turn. Since their emergence in 2007, the hard rock band has achieved six consecutive RIAA Gold-certified albums, three of which have gone Platinum since, as well as a Platinum single culminating in their 2015 #1 album GOT YOUR SIX, while at the same time being one of the top rock streaming acts with over 2 billion global streams to date. In 2016, the band also received the prestigious “Soldier Appreciation Award” from The Association of The United States Army. 5FDP frequently play all major festivals globally from Download to Rock Am Ring to Rock on the Range and sell out arenas around the world to countless screaming “Knuckleheads.” Their 2017 Greatest Hits album A DECADE OF DESTRUCTION, boasts two new singles, amongst them “Gone Away”, a cover of the 1997 song by The Offspring which is currently storming the rock charts. 5fdp’s forthcoming seventh full length album, AND JUSTICE FOR NONE, to be released on May 18, 2018 will undoubtedly raise the bar again. 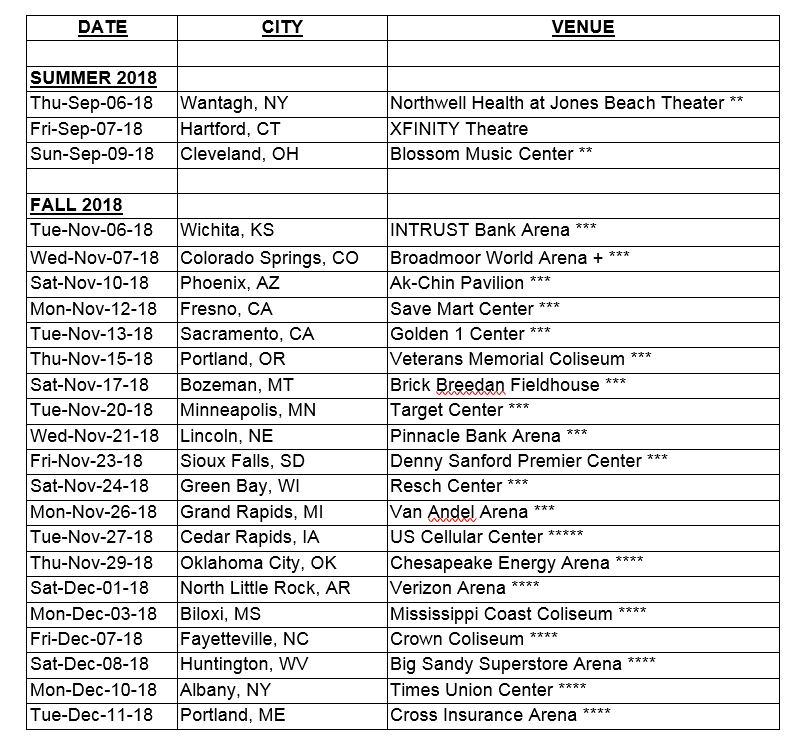 The band will emerge on the biggest North American outdoor amphitheater rock tour of 2018 from July through September.